It is official that next year, Marvel is releasing an animated movie straight on DVD and Blu-Ray based on the Marvel story arc planet Hulk. 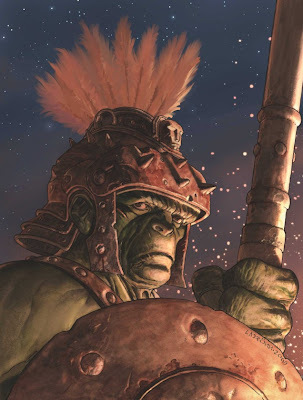 To refresh everyone, Planet Hulk arc is the story when the Illuminati send Hulk on exile to outer space. Hulk's containment unit crashed in a planet where the inhabitants are like him who spends their lives having gladiator fights. It seems that Hulk find his rightful home in this planet when he realize that living in this planet is also not that easy. For now, there are still no other details released. But a teaser trailer is already available online for viewing. Looking forward for this movie.